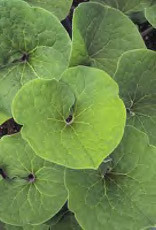 Asarum, or Wild Ginger, is a hardy perennial plant belonging to the family Aristolchiaceae. They grow wild in many parts of North America and Europe. Leaves are glossy and heart shaped with some veining. 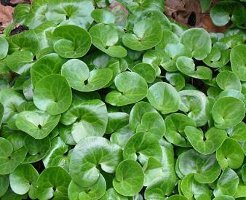 They are used in the garden as ground covers or as edging plants and are valuable as shady plants. They prefer very rich moderately moist soil.